The first P-38s became operational with the 1st Fighter Group in April 1941, and the initial combat deployments were made in Alaska, the Southwest Pacific and North Africa during the latter part of 1942. Photographic reconnaissance versions of the P-38 were in action even sooner when F-4 (P-38E) models were rushed to frontline units a few months after Pearl Harbor. Often using modified field measures to equip aircraft and train pilots in this demanding fighter, early pilots wrote a remarkable record of accomplishments that displayed a high degree of courage and innovation. 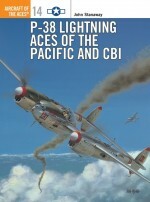 Every theatre in which the United States was involved saw deployment of the P-38, and more than 60 Lightning pilots were credited with at least five victories by the end of 1943. 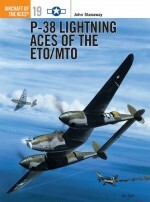 Featuring illustrations depicting P-38 models from the E to the H-5 previously not known to the general public, unpublished photographs and new data, this volume presents a comprehensive and innovative account of some of these lesser known aces. 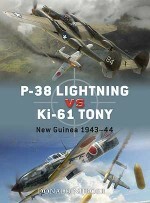 Coming from a long line of authors (including George Mellinger, who wrote several bestselling Osprey titles) that belonged to the Twin Cities Aero Historians organisation, John Stanaway has written more than 20 books and scores of articles. John is a USAF veteran with an Arc Light temporary duty assignment to his name from the Vietnam War.Chris Davey has illustrated more than 30 titles for Osprey's Aircraft of the Aces, Combat Aircraft, and Aviation Elite Units series. He is one of the last traditional airbrush artists in the business and has become Osprey's artist of choice for both USAAF fighters and RAF subject matter, proving his undoubted skill when dealing with large aircraft subjects such as the Halifax and Sunderland.